Maybe your five your old tells you they weren’t the one who smashed your makeup yet they have your makeup all over their face. Your middle schooler tells you their school day was great yet you have an email from their teacher telling you otherwise. Your 17 year old says they were at a friend’s house when a family friend saw them somewhere else. It’s actually developmentally appropriate for kids to tell fibs starting around age 4. It becomes a problem when it’s habitual and continues about serious issues as they get older. Lying can occur for a variety of reasons including fear of getting in trouble, embarrassment, disappointing their parents. Remember - everyone has told a lie before as a child, including you. Everyone has told a lie before as an adult, including you. Isn’t it interesting that as adults, we expect things of our kids that we don’t always do ourselves? Stop nailing them when they make a mistake. If kids are yelled at, ridiculed, lectured, grounded, etc. every time they’re caught doing something wrong, they’re going to attempt to not get caught. One way to not get caught is to lie about what happened! 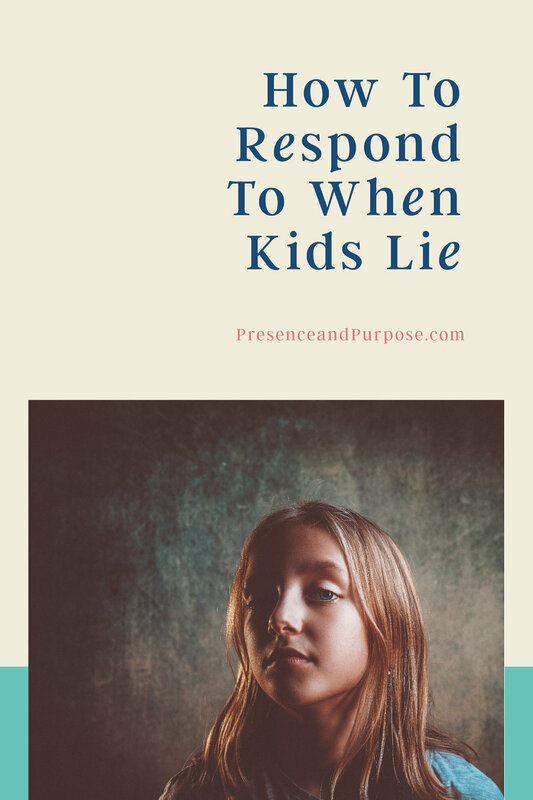 This doesn’t mean that you allow kids to “get away with” lying. I’m suggesting that instead of punishing (because this will only encourage more lying), that you discuss solutions to the problem. Say what you think about what they’re telling you, with respect. If you’re child is telling you their version of the situation and it doesn’t sound like the truth, ask them questions. You have a great imagination, tell me more about your story. That doesn’t sound possible. I know people sometimes are not honest when they’re worried about getting in trouble. Let me know when you’re ready to talk about this and I’ll be ready to listen. Focus on solutions. Celebrate mistakes as opportunities to learn rather than opportunities to punish. Involve your child in a discussion about what happened. What is your plan for making sure you do your homework? What do you need to do before playing in your room? What do you need to do to make sure you’re ready to leave in 5 minutes? I see that you ___. Let me know if you need help. Love unconditionally. Everyone makes mistakes, including parents. Kids need to know that they’re not unlovable when they make mistakes. They need to know that we will love and support them through difficult times, not just when things are going well or they’re doing what we want. When they feel this love and acceptance, they will be more likely to open up to you in the future. These ideas will help build a better sense of trust and honesty within your family. I also have a free guide to increasing cooperation with kids, get yours here!